Wedding Reception Entrance Ideas: Dance and More! The wedding reception entrance is something that all anxiously await. 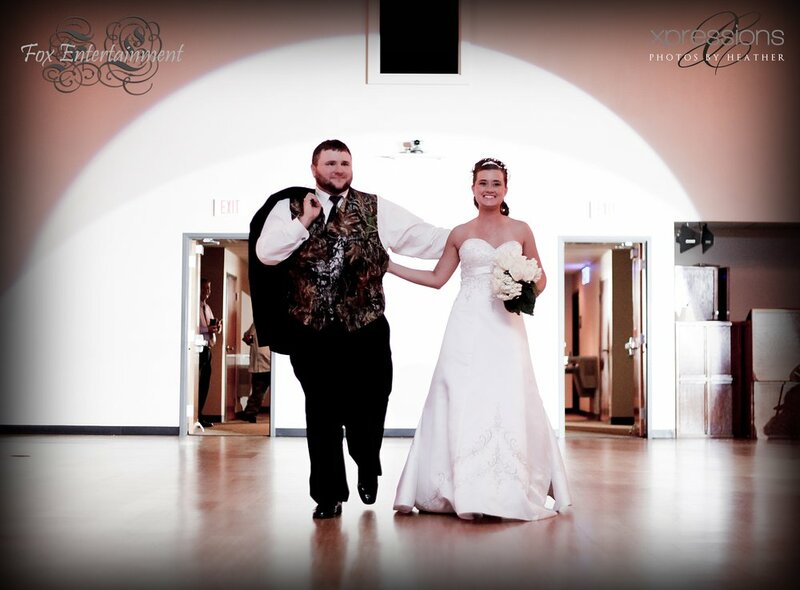 It’s up to you to make your wedding reception entrance special. Trying something out of the box may make this already special day even more memorable for all. There are so many ideas about wedding reception entrances that can put all your guests in a celebratory mode while keeping within your planned budget. 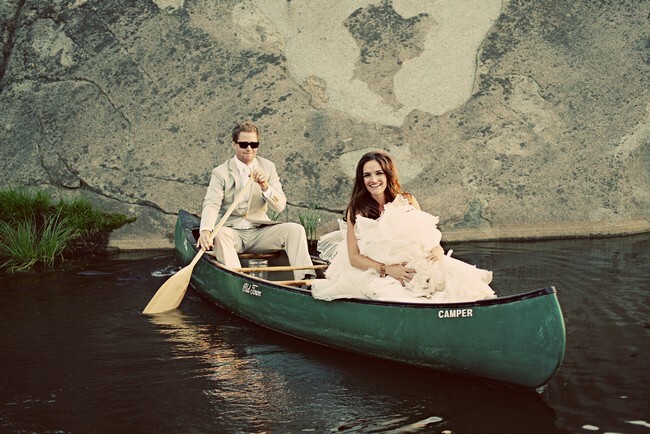 Check out some of the best and most unique wedding reception entrance ideas. If it’s a lavishly arranged wedding and not a budget wedding, make this event memorable with a surprising entrance on things like a helicopter, ski boat, jet ski or an entrance on a floral decorated ATV (especially for beach wedding) are just some jaw dropping ideas. Look for some catering hall equipped fully for the latest styled weddings. Many weddings halls provide nice entrance facilities for the couple. 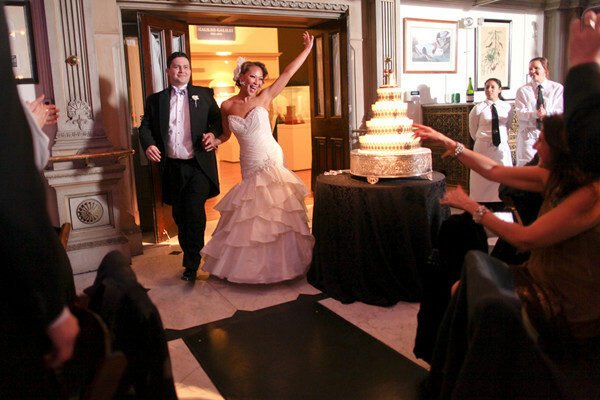 A few observed facilities included a glass elevator that brings up the newlywed couple and a stage curtain entrance. Just like it happens in the race and marathons, where one has to run fast tearing apart the big banner, you and your lady love may enter the hall, hands in hands, not walking but running through a banner bearing your names. The banner, if matched with the wedding color, would look appealing. 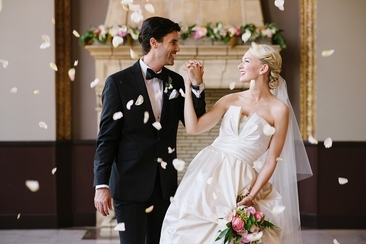 Play some special, peppy wedding song for the reception entrance such as "Crazy in Love" by Beyoncé. Guests will love the couple dancing in to the music. 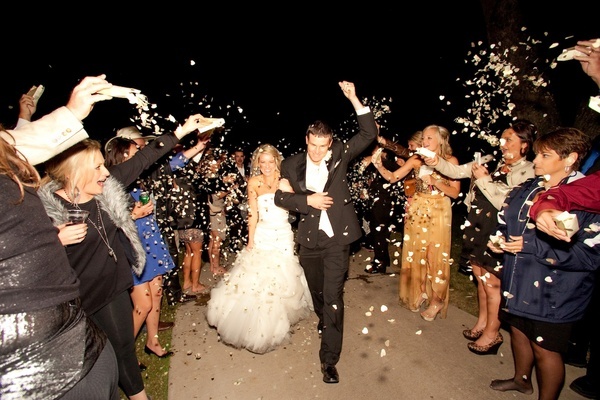 Confetti cannons, fog machines or snow machines can be used to create an atmosphere like a dance floor. 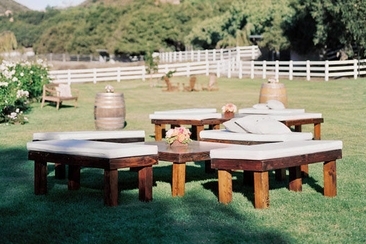 Looking for ideas about wedding reception entrances that give energy to all? 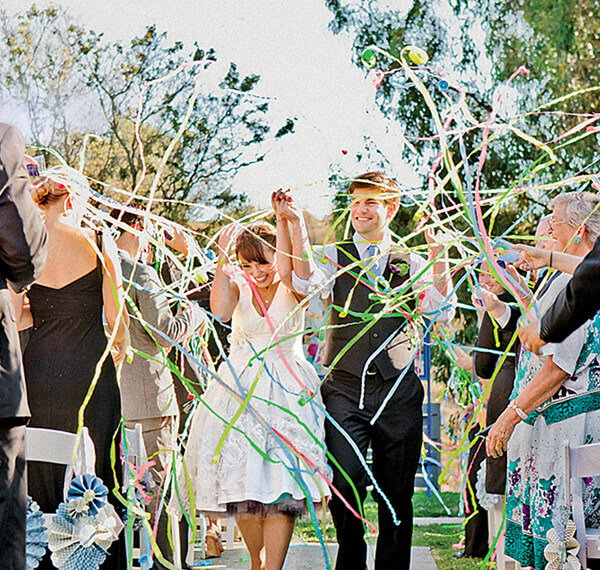 The couple can be welcomed amid the sprinkling of rose petals, colorful confetti or lots of balloons (of wedding color). This affordable idea gives a romantic ambiance to a simple ceremony. If it’s a tented event, a projector can be utilized to create amazing designs and images on the ceiling as the arrival of bride and groom is announced. The projection of images on the tent roof related to your theme can be a good idea. 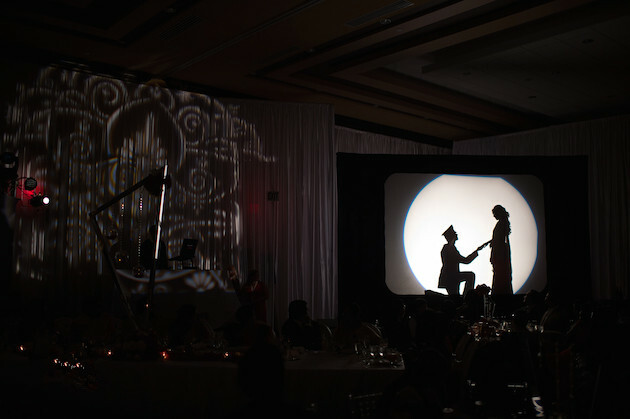 Entertain the guests with a romantic entrance by creating your own dancing silhouette on the projection screen. With all lights turned off, give a romantic performance behind the curtain and then continue it to the dance floor. It will surely look romantic and pleasing to all. To make it a musical entry, get the services of DJ or some close friend. Share the interesting things about your love story (3 to 4 min maximum) to create a funny musical love story about you. Then, the DJ will play the amazing creation as the couple enters and continues down the aisle. 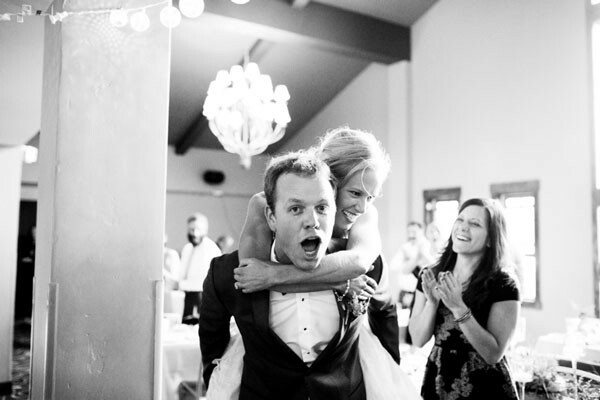 It’s another fun idea where the groom gives his bride a piggyback ride from the entrance to the floor. A fun romantic song played by a DJ would give it a nice musical touch. 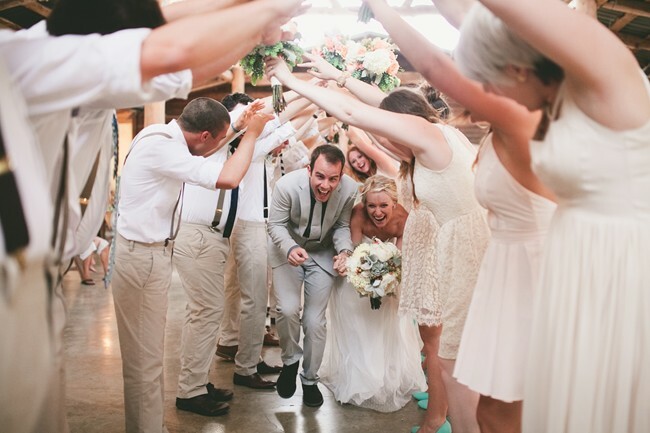 To make it more unique, the bridal party can also enter this way. This is surely one of the best of the ideas for a wedding reception entrance. The bride and groom can travel down the aisle on a luggage cart in the famous titanic pose and the Titanic song,"My Heart Will Go On," will play in the background. Walking through the tunnel formed by the hands of the bridal party is yet another entertaining wedding reception entrance idea. It will keep everyone in the reception amazed and involved. The DJ should be instructed to play some lively music at the time of entrance. Whenever we talk about the best ideas about wedding reception entrances, the JK wedding entrance dance is one of the best. The way the bridal party makes its entrance through the hall, dancing one by one or side by side, is really entertaining for everyone present in the hall. Select an entertaining secret theme for the bridal party and groomsmen. Like having everyone dressed up in the 70’s style, cowboy style (especially for country wedding) or dressing up like fairytale characters. The DJ would play some music relating to the theme. But, you must rehearse it earlier so that it turns out to be the best. The whole bridal party and groomsmen will be waving ribbon wands as the newlywed couple makes its entrance through the isle. Ribbons can be multicolored as well or simply those which go best with the wedding colors. You can DIY these wands as well. Turn off all the lights in the venue as the arrival of newlywed couple is announced. 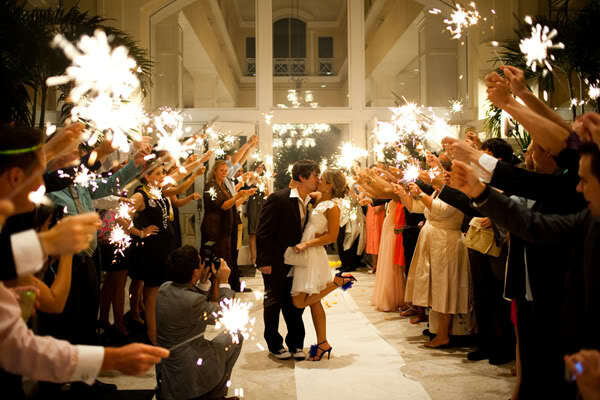 The whole wedding party would ignite the glittery sparklers and wave them. These pop of glitz will help you make a dramatic entry. When using them, it’s good to take all the safety measures. Swapping of the clothes is another quite funny idea. Bridesmaids can wear tux and groomsmen in dress. Enter dancing in pairs one by one to some funny and lively song. 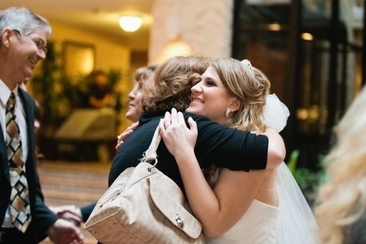 Just make sure the entire bridal party feels comfortable with dress swapping. The bridal party enters the normal way as commonly observed in the weddings. 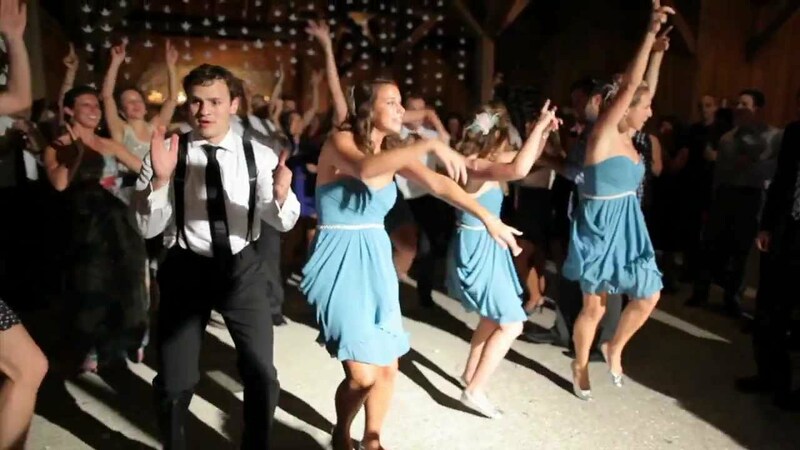 As the announcement for bride and groom’s entry is made, the DJ should play a thrilling and catchy song to dance to, and not only the bridal party, but all from the guests can come and join them just like a ballroom. 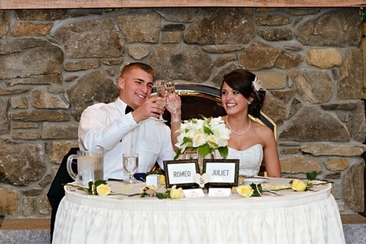 You will need to consider the wedding reception event timeline once you have the details ready. Here is a clear order guideline which you can adjust a little as you like. What side does the bride sit on at the reception? No more confusion! Read our easy guide on the right etiquette of wedding seating plans: who sits where, why, with whom. When Is the First Dance at a Wedding? 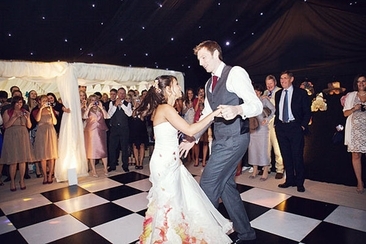 When is the first dance at a wedding? Basically, the decision lies in your hands. To help you decide, here’s a list of pros and cons of different arrangement for soon-to-be couples. 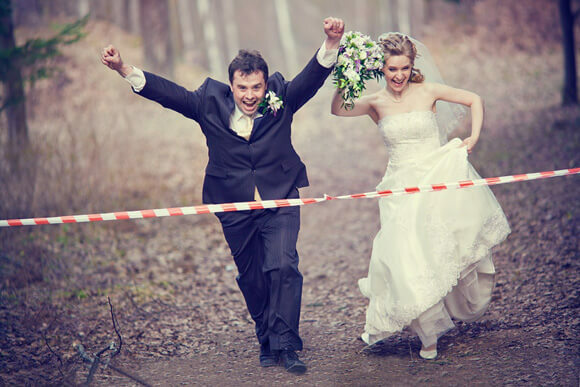 Feeling stressed about your wedding day? 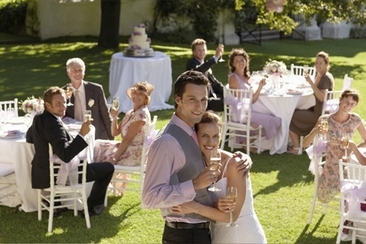 This handy guide will give you some wedding reception timelines to help ease your worry. If you are looking for best wedding reception ideas, you landed on the right page. Here are some of the best wedding ideas that can help you make the most out of your day.